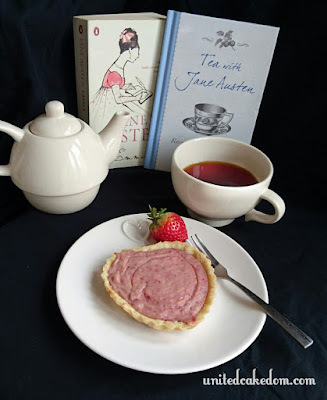 If you've read my blog before you'll already know that I am a fan of Jane Austen's work and when I came across this little book titled Tea with Jane I couldn't resist! Two of my favourite things tea time and Jane Austen. 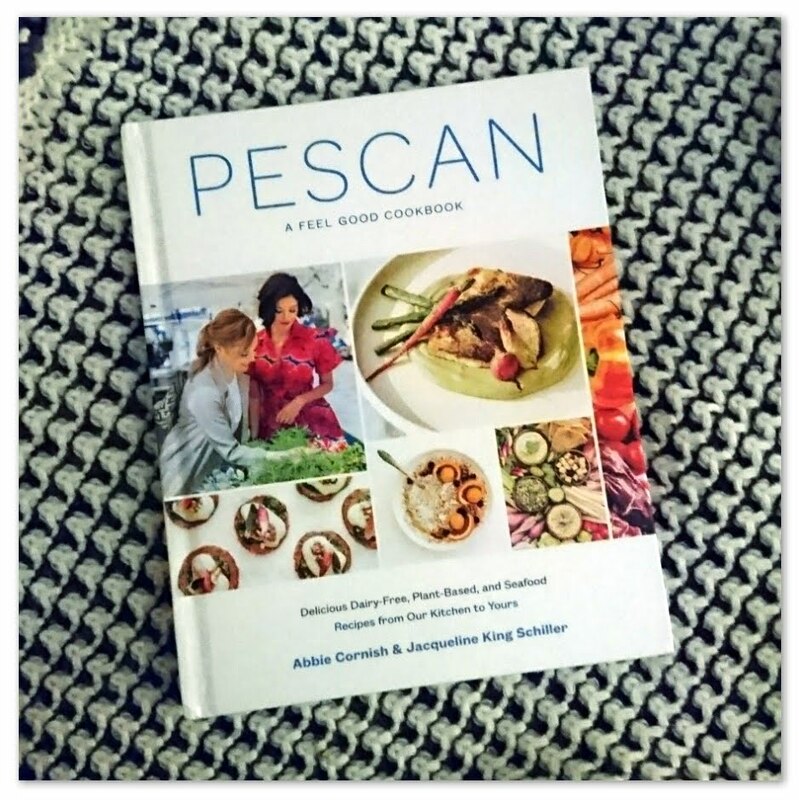 When I say it's a little book it physically is a bit smaller then the average cookbook and only has 60 or so pages, perfect size to slip inside a bag! Don't let the size fool you, it's packed full of tea time treats inspired by the world of Jane Austen; her work and her life! 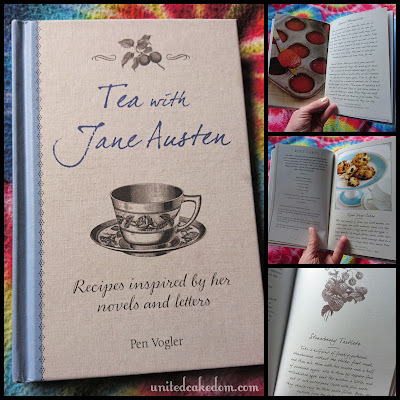 My favourite thing about Tea with Jane Austen is that our author Pen Volger includes an old fashion version of the recipe next to the updated recipe - or how we read/write/cook today! 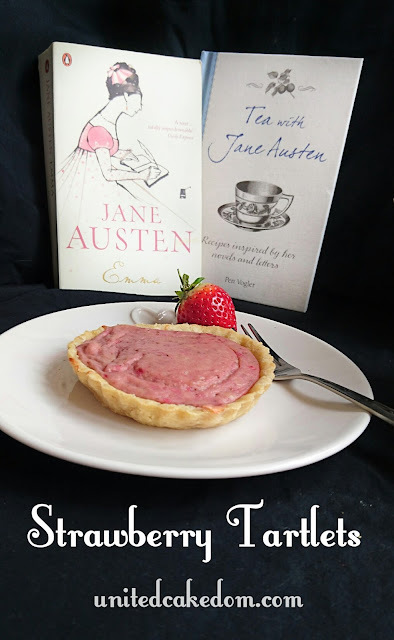 Emma is probably my favorite Austen novel so I had to make the strawberry tartlets! They were, of course, inspired from Emma and the day that Mr. Knightley invited everyone to Donwell Abbey to pick strawberries! 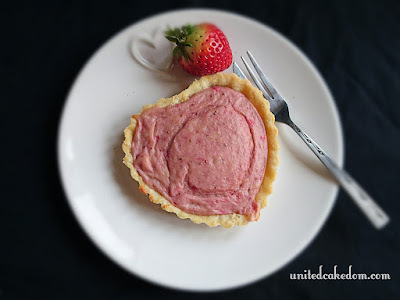 With a baked strawberry custard set in a sweet short crust pastry these would make a great tea time treat or if careful a perfect picnic treat! 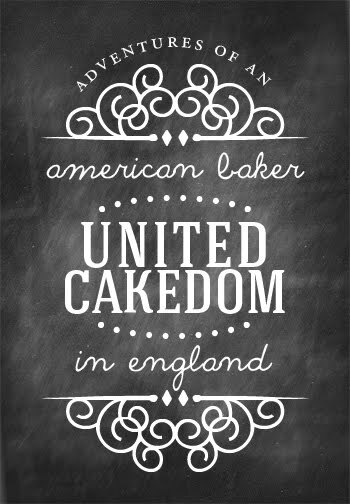 I would like to think Mr. & Mrs. Knightley would agree! Mix the flour, salt, and sugar in large mixing bowl. Add the cubed butter and using your finger tips combine the flour mixture and cold butter cubes until it looks like bread crumbs. You don't want the butter to melt, so be quick and firm when rubbing in the butter. Mix the egg yolk and water together before adding to the flour/butter mixture. Using a knife stir it all together it should form big clumps. Then using your hands bring the dough together. Add water if you need to little by little. No need to knead. Wrap in clingfilm and leave in the fridge for at least 20 minutes. Grease 4 tartlet pans or a 9in/22cm tart tin. Heat the oven to 200C and take out the pastry from the fridge. Roll it out to about 1/4 inch or 5 mm thickened line the greased tartlet pans with the pastry. It's okay to leave some of the pastry having over the edge to help with shrinkage. Prick the pastry with a fork. Cover each tart pan with a sheet of grease proof paper and fill with baking beads and blind bake for 10-12 minutes for the tartlets and 15-18 for the tart tin. Take them out of the oven and remove the paper and the baking beads and place back in the oven for 5 minutes or so. While they are blind baking boil the milk and leave aside, cover it to keep it warm. Puree the strawberries and leave aside. 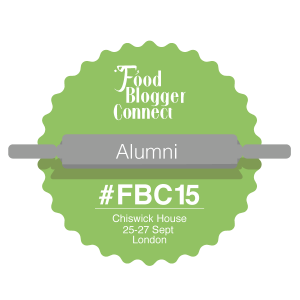 Beat the egg yolks and sugar together with a whisk, until sugar has dissolved. Shift the flour in a third at a time beating well after each addition. Gradually pour in the boiled milk, whisking as you go. Return the custard mixture to the pan and heat until it just starts to boil - beat until the custard holds sits shape. Dip a wooden spoon into the mixture and pull it out. Run your finger down the spoon face, it should leave the line. Take off the heat and beat in the strawberries. Pour into the pastry cases and bake for 10-15 minutes until the custard is set. Cool and serve! With strawberries or cream or meringues. Suggestion: if you save the 3 egg whites from this recipe whip up some meringues to top your tarts with! Just half the recipe in this post I wrote: Waste Not Want Not! 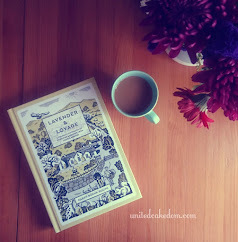 notes: Tea with Jane Austen by Pen Vogler (check out her other title Dinner with Mr. Darcy!) 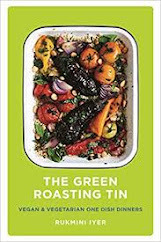 was sent to me to provide a review - recipe is taken from said book with permission from the publishers, Ryland, Peters & Small. This title was published in February and is available at all good book sellers and online shops! All opinions are my own, no other compensation besides the book was given - please see my contact/policy page for more information! That strawberry tart looks and sounds amazing and I love this idea of this book. I'm a sucker for this style of book - I have a couple of recipe books with a Sherlock Holmes theme! I need a cook book with a Sherlock Holmes theme!